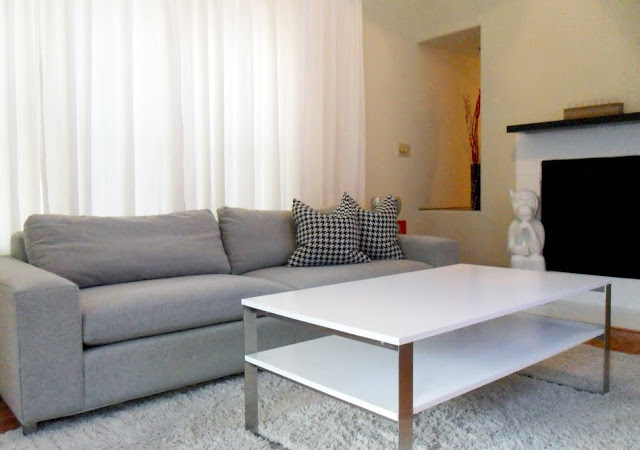 Unfortunately, it looks like I'm going to be buying a new living room rug sooner than I expected. I'm currently living with a white shag one that I got at Home Depot for about $80 a little over four months ago (see below). Although the rug was initially purchased for temporary use as a replacement to my old one that was ruined when my hardwood floors were installed, it's been great except for the fact that when it's stepped on it, the fluffiness flattens out immediately, it's a dog fur magnet and it sheds like crazy unless I vacuum it daily. #1 - A hand-tufted black and red rug that looks like wool but doesn't shed like it - HUGE plus! 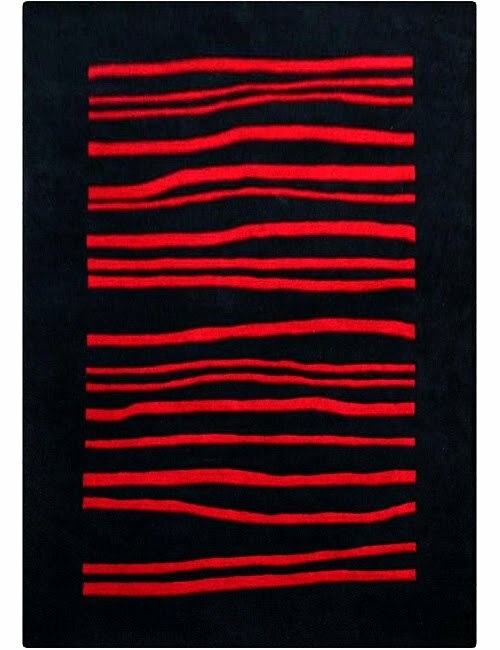 I love the black and red combo since it's the color story that runs throughout my house and at $150 with a 10% off coupon code and $2.95 shipping and handling, the price really can't be beat! #2 - Another black and red rug that would make a great conversation piece and would help camouflage dog fur but at $306, it's a little more than I'd like to spend so I think I'll continue to think about it (or wait until a bigger coupon code enters my inbox ;) ). #3 - A beautiful gray/silver rug with a fun loop pattern! 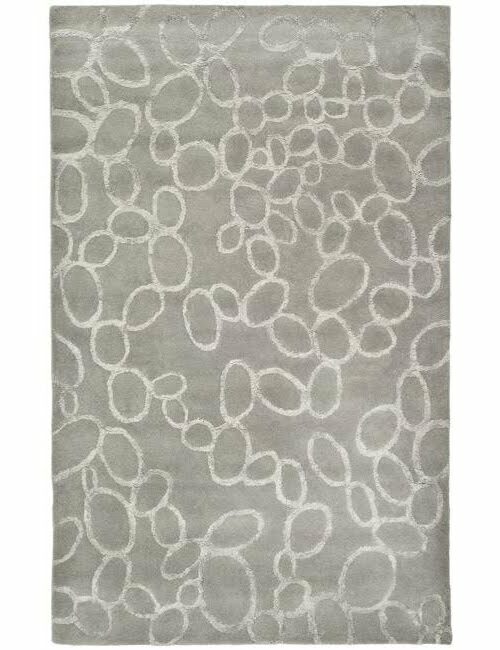 The ONLY downside to this rug is that it's gray and since I already have a gray couch and a coffee table with silver legs, I'm afraid that this rug will end up blending in with its surroundings more than I'd like it to. 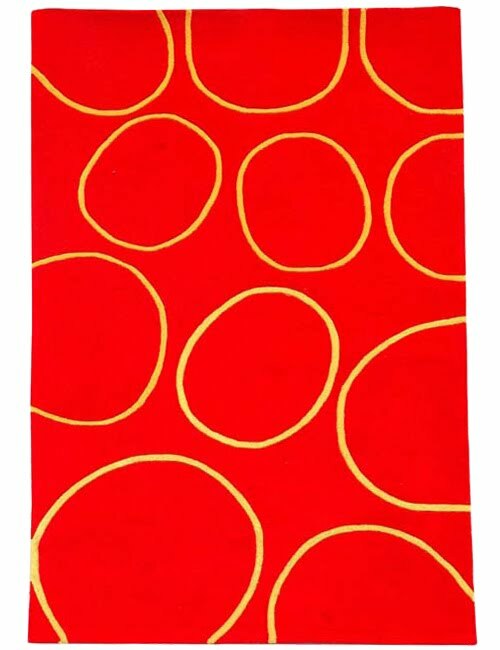 #4 - A bold red and yellow rug that will definitely give me the bold pop of color I'm looking for! Unfortunately, the color red in the picture is much brighter than what I'd had in mind but one reviewer said it's more of a true red and the circles aren't yellow-yellow but more of a gold/mustard color ... am I the only one who thinks of McDonald's when they see red/yellow together? 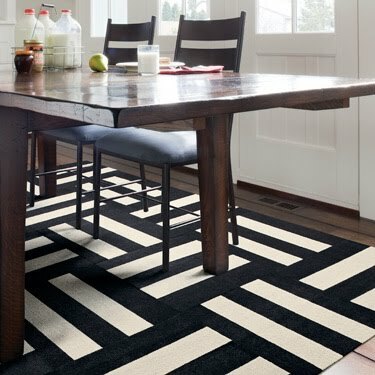 #5 - Bold black and white striped carpet tiles from FLOR® that I'm in love with. Just think of how many "new" rugs you could make every week (or month) just by rotating the tiles and creating a new pattern! Plus, if one tile gets stained, you can clean the individual tile and/or replace it if the stain becomes permanent! 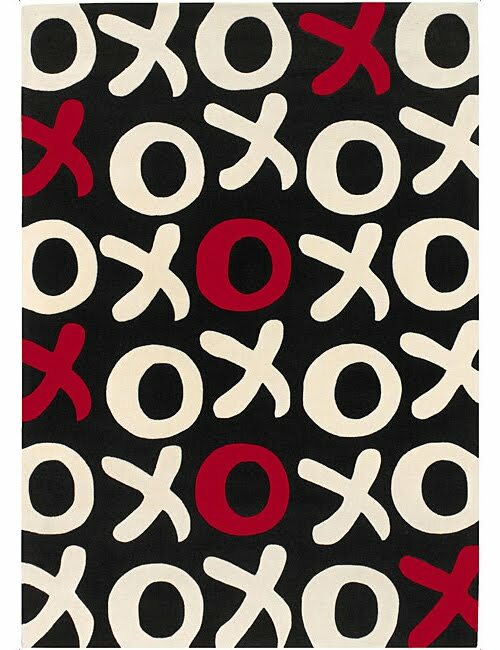 So what do you think, does one of my rug choices make more sense than another?